It was the best of the first quarterfinal match between CSKA and the Vitorians. The Muscovites took off in the third quarter with a partial 29-12. 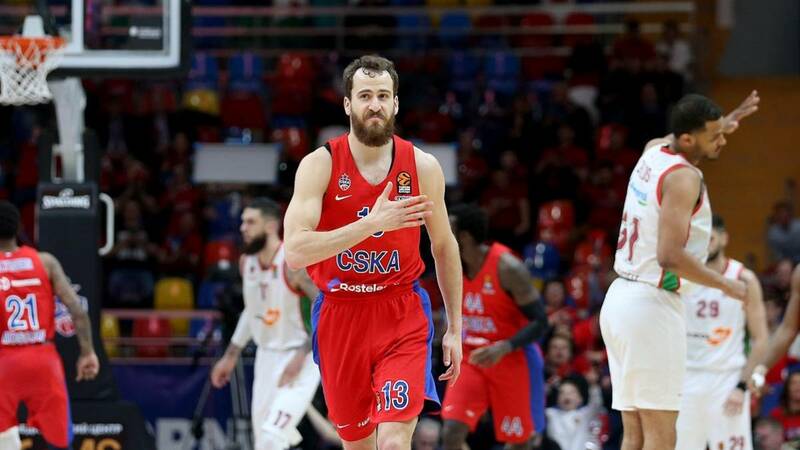 Kirolbet Baskonia fell in Moscow in the first game of his series of quarters against a CSKA that destroyed the Vitorians with a sublime third quarter (29-12) led by the Spanish Sergio Rodríguez: 19 points (5 of 6 of triples) and 5 assists for 21 assessment. The clash began very even and with little offensive production of the two teams. A couple of minutes had passed and no one had scored yet. Poirier then made the first points in the low post but 5 consecutive Higgins put the Russians ahead. The Baskonia was charged with fouls because the arbitration criteria was not equal in the two zones. At the end of the first quarter, Vildoza, Garino and Huertas already had two fouls. All CSKA, in minute 8, added one. Despite this, Perasovic's team went one at the end of that delivery due, in large part, to the cheap points that CSKA got from the free throws. Marcelinho saw the third staff as soon as the second phase of the clash began. Vildoza had to do bobbin lace to not equal and defend with some intensity. One of his rivals was Nando de Colo, who made his 100th free throw of the season with an impressive 94/100 balance from that distance. A partial 0-7 relaunched the Baskonians (32-35, min.16) but a great local reaction with the Chacho in command, sent the figure of the break to a balanced 44-40. Hilliard and Shields, strangely, and simultaneously, were at a fairly high level. It is obvious that to overcome 21 points to the Slavic colossus in his field is really utopian. But Kirolbet tried. Huertas made a triple and Poirier a mate to provoke the timeout Itoudis. Shields saw the fifth in 32 but the Baskonia kept the guy. And that was very wrong in the outside shot. It was when De Colo began to act as a magician but the crack of the party, which broke the equality, was Chacho. The last minutes were over. The 1-0 was very clear already. Perasovic did not use Jalen Jones for a single second. The bad fog of Moscow is maintained since 2005. The fouls wore to Kirolbet and the Russian quality served to give the final lace. The maximum local was given with the final figure so that Perasovic, and no options, only lost by 5 the last delivery. At least he was not humiliated.